Running Press Kids, 9780762454099, 32pp. 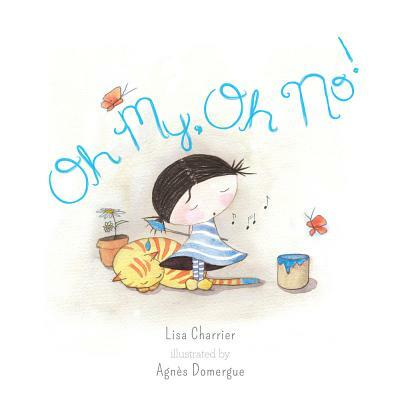 Lisa Charrier has many passions, including writing for children. Oh My, Oh No! was inspired by her and her son's relationship. She is also the author of the picture book Santa Claus Saves the Planet. Lisa lives in Saône, France. Agnès Domergue is a professional violinist, with a split passion for children's literature. Her previous illustrated books include Gibberish and Chaballo and Mee, and her authored picture books include The Symphony of Colors and The Notes of Monsieur Croche. Agnès lives in Paris, France.